Ayman performed on Show 321 in Lake Jackson, TX, on March 4, 2016. Ayman Abouleish (trumpet), 17, is from Houston, Texas, where he is a senior at Clear Lake High School, and studies music with Roman Jakubas. When Ayman was 2 years old, he started whistling. A couple of years later, he got his first trumpet. 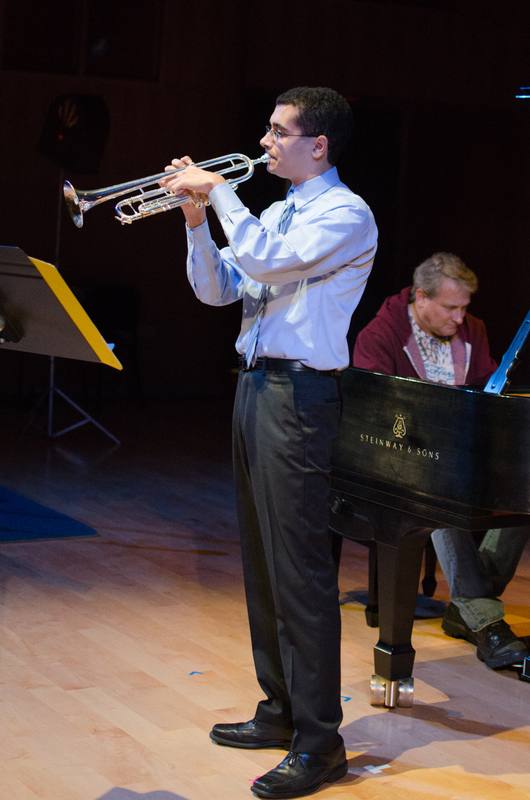 He is a four-time Texas All-State Musician as well as the principal trumpet in the Houston Youth Symphony. He has participated in numerous ensembles, festivals, and summer programs, from Idyllwild Arts and Interlochen to the Honor Orchestra of America. Outside of music, Ayman is a National Merit Finalist and an Eagle Scout and enjoys scouting, playing video games, and being with friends. He is planning to study Music Performance at The Shepherd School of Music at Rice University.